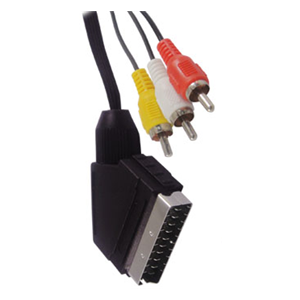 Scart Audio Video Cable are commonly used for transferring video and audio signals from digital camcorder etc to another TV, PC, DTV, Satellite Decoder, digital Camcorder etc. Yellow connector - Carries the video signal. Red connector - Carries the right audio signal. White connector - Carries the left audio signal.